A Nashville vice mayor candidate apologized for comments made on Facebook about former mayor Megan Barry's son who died of an overdose last year. 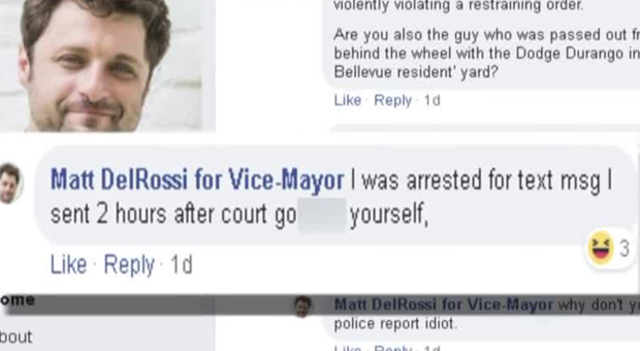 DelRossi told a NewsChannel5 reporter that he had already apologized for that comment. But he stood his ground on a number of other attacks on social media that targeted others who commented on his posts. One was aimed at a person who was questioning DelRossi's criminal history. He was convicted of DUI from an arrest in 2015. He was also recently arrested for an order of protection violation. 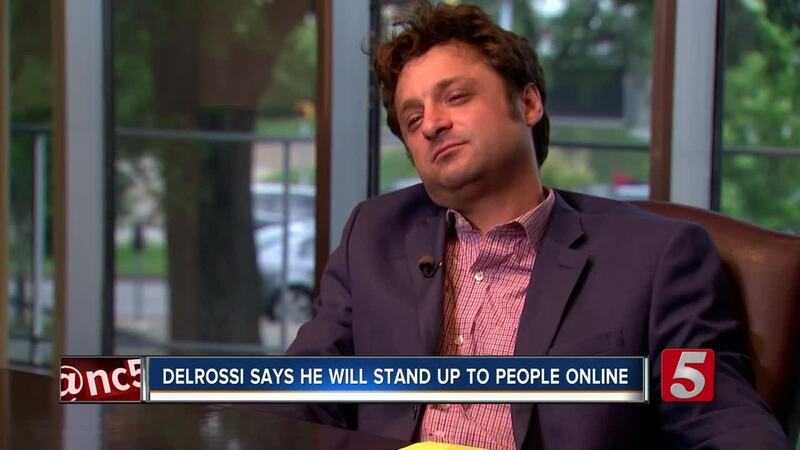 "I'm not going to just take crap from anybody," said DelRossi in an interview, Tuesday. "I feel like that's been the status quo for a long time I feel like the game has been changed and people have the attention span of squirrels. You gotta get out there somehow. I wasn't getting any attention until I did that." DelRossi also has two warrants out of Texas from a traffic violation. He says he can't remember that incident and the Texas DMV just wants money. A spokesperson for the Texas DMV says the organization doesn't issue warrants and has nothing to do with DelRossi's warrants. "Somebody digging around for dirt on me stirred up the pot," DelRossi said. He said his appeal is that he's not the typical politician. His focus will be on transit and schools. DelRossi's Facebook has a link to his stance on issues. They include crime prevention, economic development and road repairs. DelRossi said he's registered Republican but feels he is more of a libertarian.